No complaints, but a problem requiring a solution and, after several phone calls to the health service helpline, we discovered that one of us needs to work for at least 60 hours in one rolling month just once a year, to qualify. 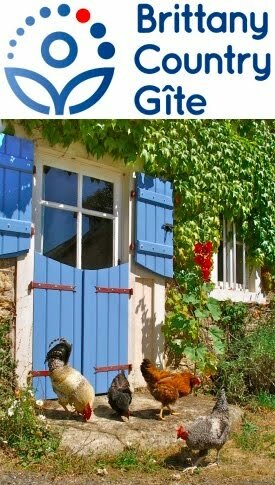 Which is how I came to find myself working under a system called chèque-emploi (the person you’re working for pays you and also separately pays your tax and social charge contributions, doubling the cost: the lowest paid person in France effectively pays over 50% tax!) I must thank neighbour Gérémie for finding me the opportunity to work for the requisite hours and I intend to buy him an impressively old and expensive bottle of French wine once we regain our entitlement to our carte vitales. Wage labour has meant that I’ve had less time to do necessary work onsite and it’s been a relief this week to get back to our own stuff and to my infamous “list of things to do”. 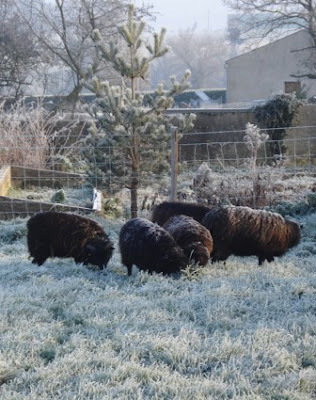 We’ve wanted to move our small flock of Ouessant sheep for a while but they needed a shelter built before we moved them. Paul, our ever-generous pig-farming neighbour let me collect a vanload of wooden pallets for free, which I used to construct said shelter (see photo below). After pricing up corrugated iron, then plastic sheets for the roof, I settled on an unfeasibly cheap plastic tarpaulin. 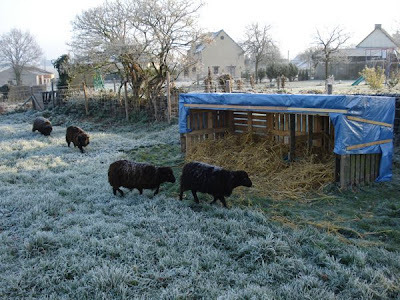 Thus, a sheep shelter for our small flock of five sheep has cost around 15€ (£10 / $20). In comparison, have a look at this animal shelter for no less than 560€ (£379 / $750). At 12€ per hour, chèque-emploi, I would have to work for a week and a third to earn the money to buy one. While trying to be ecologically sustainable, we've always got our eyes on how to be economically sustainable too ... and to this end, we've just laid down our pork futures, see my next blog. To read the most up to date information about the health service situation I was talking about above, look at the British Embassy website.